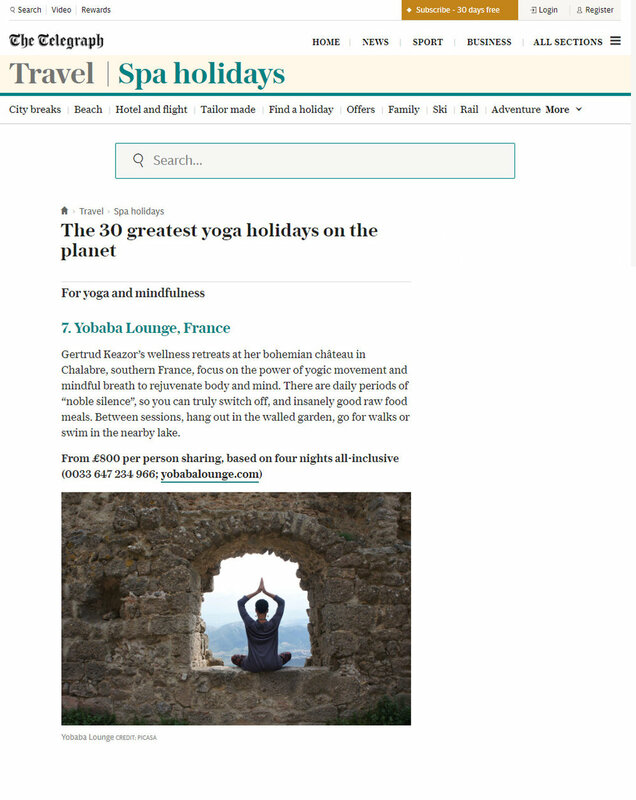 "Gertrud Keazor’s wellness retreats at her bohemian château in Chalabre, southern France, focus on the power of yogic movement and mindful breath to rejuvenate body and mind. There are daily periods of “noble silence”, so you can truly switch off, and insanely good raw food meals. Between sessions, hang out in the walled garden, go for walks or swim in the nearby lake. "